Efflorescence is a white substance that collects on the surface of brick when it is exposed to a significant amount of water. This chalky or fuzzy white material is the result of salts that were present in the natural brick mud. Those salts dissolve when they are exposed to water. When water begins to evaporate from the brick, the dissolved salts migrate to the surface. The two ways to keep efflorescence from appearing on bricks at all are to keep the brick from getting wet or to seal the brick. It is extremely difficult to keep brick that is used as pavers from getting wet, so this is an unrealistic solution . 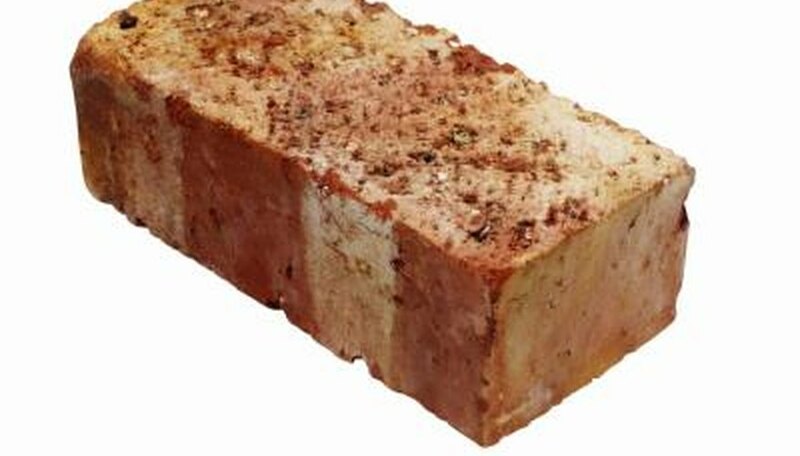 The other option, applying sealant to the brick, will repel water and thus keep the salts from dissolving out of the brick. Sealant can by sprayed on or applied with a roller or brush. If bricks turn chalky white, clean the surface of the brick to remove the salts. You should scrub the surface with a wire brush to remove any loose chunks of salt. Then clean the brick with water and a cleaning solution. The traditional cleaner for efflorescence is muriatic acid in a 1:10 water solution. You will also see results with any household cleaner that is designed to remove mineral deposits, such as CLR or Lime Away. Efflorescence does not indicate that the brick has lost structural integrity or durability. It does indicate that water is soaking into the brick, which could cause future problems with frost heaving. Efflorescence should not be any more dangerous to handle than the brick itself, but if you have children or pets who may put it in their mouths, ensure their safety by removing the chalky material or keeping it to a minimum. Although the appearance of the brick has changed, it is important to know that some people value this chalky look. Some even go so far as to purchase reclaimed antique bricks at a much higher price per brick. When you consider that someone else might pay extra to buy pavers that look like your aged and whitened bricks, you may reconsider whether you should clean that patina off or seal the bricks from moisture. Bricks exhibiting efflorescence can be seen as beautiful and a mark of your home's history.